Why does society allow, or even encourage, private appropriation of inventions? When do patents encourage competition, when do they hamper it? How should society design the compromise between the interest of the inventor and the interest of the users of patented inventions? How should the patent system adapt to new technological areas? These questions and many more are addressed by the authors in this analysis of the economics behind the European patent system. Beginning with the history and principles of the patent system, the book then examines the economic effects of patenting on innovation and the diffusion of technology and growth. 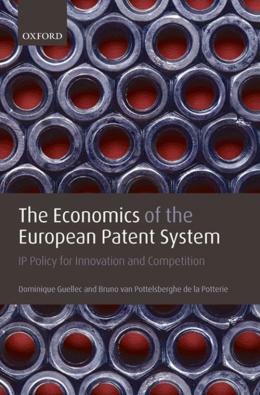 Throughout the book, the theory and the reality are discussed alongside real world examples and comparison between the European, USA, and Japanese patent systems.